Dr. Shervin Tabrizi welcomes you to Tabrizi Family Chiropractic. We offer Advanced Chiropractic Techniques in combination with Physiotherapy Modalities. Our mission is to teach patients how to eat for higher energy and move for higher function and to provide patients with the highest quality health care through spinal correction, chiropractic adjustments, and wellness coaching. Dr. Tabrizi would love to serve your company or business and its employees with a FREE Stress Management Presentation. This is a great way to teach your employees how to work more efficiently. We usually accommodate lunch or breakfast presentations with healthy food! These complimentary health workshops are part of our community service outreach and usually last between 15 to 30 minutes. Sound interesting? 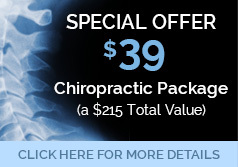 Please contact our Costa Mesa chiropractic practice to make an appointment.